Anna of the North's name is just as majestic as her new (new-ish because we all know I'm mega slack and it actually came out almost a month ago lol yolo) song. Anna of the North is possibly so called because she's from Norway. But also that's me just guessing and I don't really have a clue why she's chosen that as her moniker but also, I don't really mind. Anyway, Anna makes us beg the ever so frequent question; what is it about Scandinavia that makes their pop music so good? Something in the waters I assume. 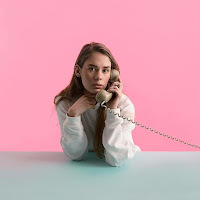 'Baby', Anna of the North's latest single, is just the type of pop excellence we've grown to expect from Northern Europe. 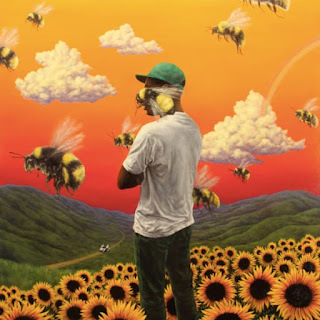 After some social media stalking it would appear Anna only recently shot the video for this song, so I'm not as behind as I initially thought. Anyway, 'Baby' is lovely but it makes me feel warm and sad at the same time which is all quite weird. I think it's supposed to be a sad song... no, it definitely is. I think I could (oxymoron alert) happily cry to this on a Saturday night and quite possibly feel much better about life in general. Also, Anna of the North is wrapping up a European tour supporting Kygo which is crazy huge and totally cool. She's also playing The Great Escape *holler* next month so that should be a right laugh/cry/bundle of emotions. Either way, I'm looking forward to it.